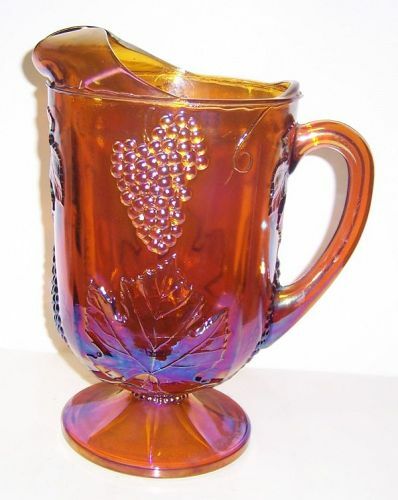 This is a really pretty Brilliant Ruby red 7 1/4 inch high Water Goblet made by Morgantown Glass. 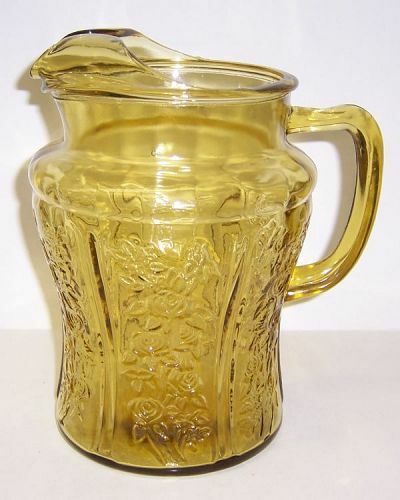 This elegant glass Goblet holds 8 ounces and is in very good condition with no chips, cracks or scratches. 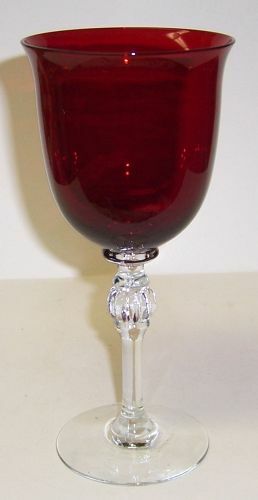 The Goblet top is a beautiful Brilliant Ruby red with the stem and foot crystal clear. Be sure to search our other Morgantown glass available. We guarantee items to be as described. THANK YOU. This really pretty green Cube Cubist Powder Jar or Dresser Jar with Lid was made by Jeannette Glass from 1929 to 1933. This Powder Jar measures 4 Inches high to top of knob X 3 1/2 Inches in diameter at the widest part. Both the bottom and lid are in very good condition with no chips or cracks. 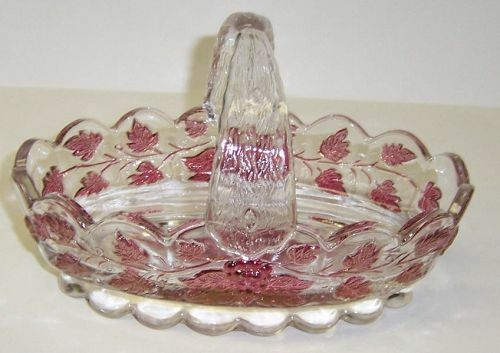 Be sure to search our other Jeannette depression glass available. We guarantee items to be as described. THANK YOU. 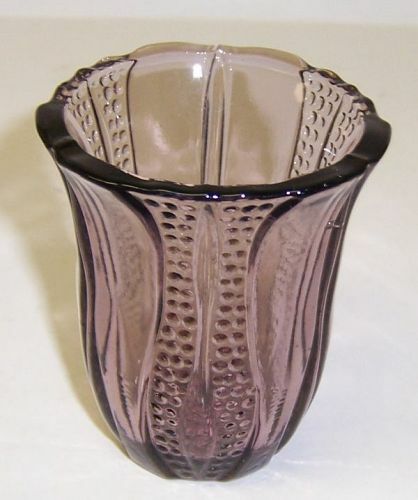 This is a really nice, hard to find, Amethyst color, Tulip 2 3/8 inch high X 2 1/4 inch diameter at the top, Juice Glass or Tumbler made by Dell Glass in the 1930s. This little tumbler is also listed as a cigarette holder. It is in very good condition with no chips or cracks. Be sure to search our other Tulip items available. We guarantee items to be as described. THANK YOU.